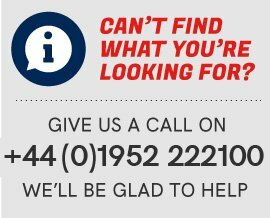 At Bearing Revolution we have a wide range of bearing inserts in stock and ready for dispatch, we stock all popular and hard to find bearing inserts in our stock range of over 12.5 million bearing related products. 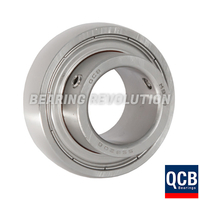 Bearing inserts (also known as Y-bearings in some industries) are just simply a sealed deep groove ball bearing following the 6200 and 6300 standard series but have a spherical outer ring to suit the housing it fits in to. Bearing inserts can be manufactured in various different guises, from standard inner ring to extended one side or even both sides. What is required depends on the way the bearing is located onto the shaft. The extended shaft can be used to fit to the shaft with grub screws, alternatively an eccentric locking collar. Some may even be tapered to accommodate an adaptor sleeve so to bring your bore down to a preferred size. Bearing inserts are very popular for both light and heavy industrial applications and have a wide use in the automotive industry. The extended inner rings provide better shaft support as they can be mounted on shafts without the use of shoulders, lock nuts or bearing adapter sleeves. The wider rings of bearing inserts offer superior load distribution and have an added advantage of being able to be fitted onto the shaft without the use of special tools – saving time and money on installation. 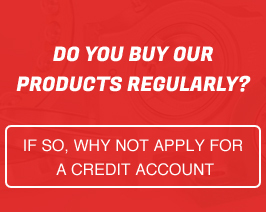 The Bearing Revolution team understand that there is wide choice of bearing inserts and choosing the wrong one can take up precious time, so if you are unsure on which product to purchase you can call us on 01952 222100 and we would be glad to help guiding you to purchase the correct bearing insert.